Blog-Plumbing-What Is A Slab Leak? Put simply, slab leaks are water leaks under a concrete slab. But these kind of leaks can cause serious damage to your home. Discover more here. A slab leak happens when the copper water lines delivering water to your home develop pinhole leaks. Homeowners might not be aware that the water pipes in their home are run under the slab or concrete foundation, and although it makes leaks harder to find and repair, it is the most cost-effective way of getting water into the home. The lines are then connected at manifolds and routed to individual fixtures such as showers, faucets, toilets, and washing machines. Water runs into the home through the city water line, and every home should have a pressure regulating device installed to ensure that pressure going into the home remains at a safe PSI as pressure is one of the main causes of a slab leak. The actual cause of a hole in the pipe comes down to corrosion, but how copper water lines become corded can occur for a few reasons. Often, it is difficult to pinpoint the specific event leading to leak. Two big factors that can eventually lead to a slab leak are thermal expansion and high water pressure, and time. The higher the water pressure coming onto a home, the more force against fixtures and seals in your plumbing. Over time, this can create excess pressure and leaks, not only in the water pipes in the slab, but in toilets, angel stops, showers, and faucets. The recommended safe water pressure is 50-75 PSI (pounds per square inch). And although homeowners cannot regulate city water pressure (which varies from city to city and can come in as high as 150 PSI) they can install a pressure regulating device to safeguard their home against burst pipes and leaking water fixtures, and slab leaks. Thermal expansion is when water is heated, it expands. Much like high water pressure, the expansion creates excess pressure and that pressure has to escape somewhere. Usually, this is in the form of a leak in the slab, water heater, or fixtures. Thermal expansion also explains how pipes expand and constrict every time hot water is heated and run through the water pipes in the slab foundation. As they expand, they create friction against the foundation and over time, this causes spots in the pipes to wear done eventually leading to pinhole leaks, and eventually a slab leak. The age of copper pipes is a big determining factor in a slab leak. Pipes being continually heated and handling pressurized water day after day and year after year will eventually wear down, even in copper which is a strong and best suited materials for a home’s water lines. Most homes in San Diego are built on a slab foundation, and if a home was built in the 1950’s through the 1980’s, the chances of experiencing a slab leak are increased. A common misconception about slab leaks is that the pipe corrodes from the inside. This is an especially prevalent thought in San Diego where the water quality is poor. It is believed that minerals and corrosive water can deteriorate the pipe on the inside over time, contributing to pinhole leaks. Many companies offer an epoxy coating on the inside of copper water lines as a solution. However, this has never been proven to be a cause of corrosion, and because the copper water lines have a small diameter, there is no way to ensure any coating in the line is done properly. If homeowners do have lined pipes, they also have to alert plumbers before any repairs. 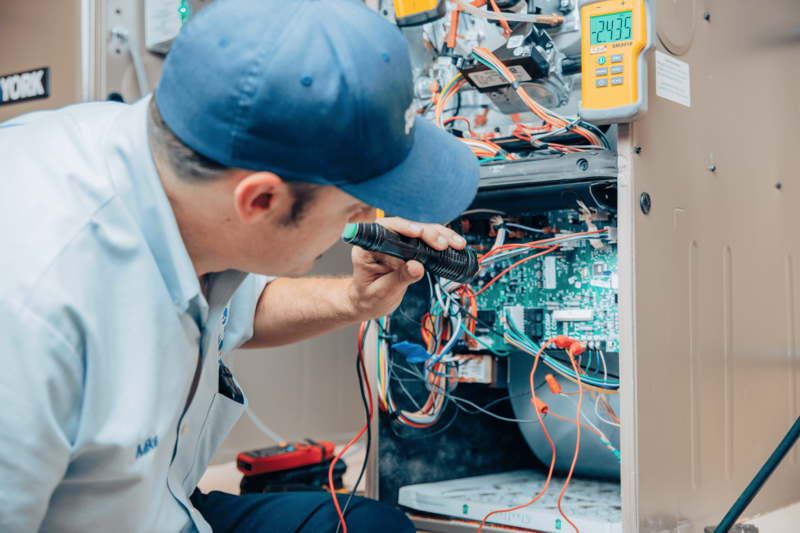 If even minor repairs that may use heat tools such as soldering irons or brazing tools are used, they could damage the coating requiring more repairs. When copper water lines burst above ground, they can cause major floods with major water damage. But, they are also easy to see and act on immediately. Slab leaks are dangerous because they can be very slow and almost undetectable. Over time, a constant slow leak will lead to mold growth in the home, which can cause a variety of health issues if left unremedied. Homeowners should be vigilant about looking for possible signs of slab leaks in their home. When a slow pinhole leak develops under the slab, the water leaking out can be a small trickle. 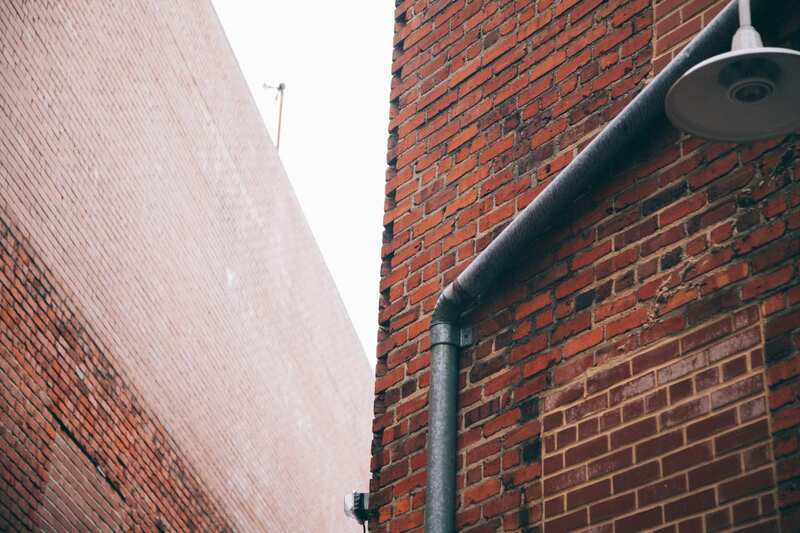 Water follows the path of least resistance seeping up through the foundation in a zigzag pattern, often only showing up to the surface several inches or even several feet away from the actual location of the leaking pipe. There also may not be clear signs of water if the leak is underneath treated hardwood floors or tiled surfaces. Warm spots may be the only sign, and only if it is the hot water line leaking. This is a reason it is important to have a slab leak detection and repair specialist perform the leak detection. 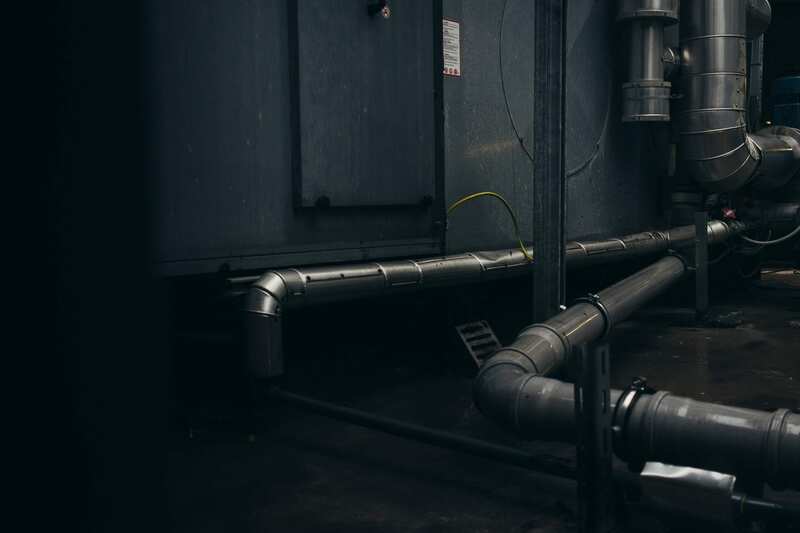 Depending on what pipe is leaking, hot or cold, and the location of the pipes, being off even inches of the location could change the entire scope of the work. 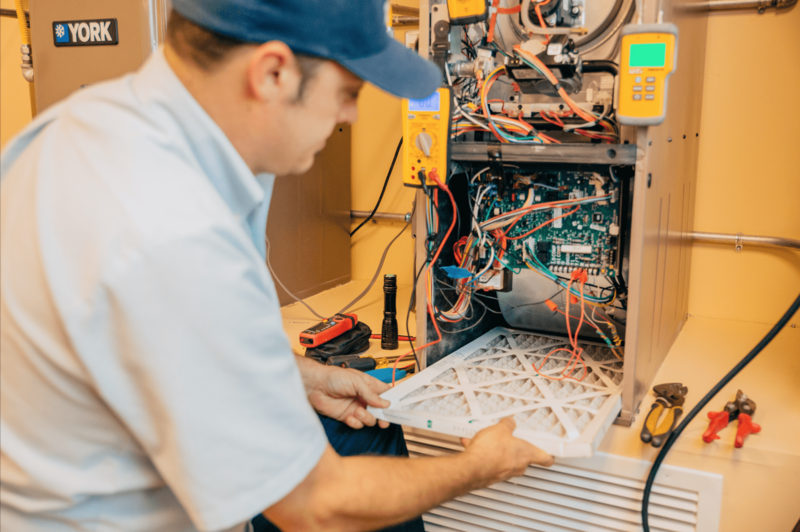 There are times that the leak is also too close to the connecting pipes, which could make certain types of repair impossible or costlier. Slab leak detection is performed with electronic leak location equipment. It uses a sonar-like method to listen for the exact place where the pressurized line has a hole. Some slab leak detections can be very difficult and will require a slab leak specialist. The good news is that once a slab leak is detected, it can be repaired quickly. But, it is also likely that another slab leak will occur, especially in older homes. When slab leaks are repaired directly in the foundation, plumbers will cut into the floor at the precise location, replace the leaking section of pipe, and repair the concrete flooring. Homeowners insurance will most often reimburse customers who submit a claim to repair the floor from the plumber’s rough patch as well as the slab leak detection. They usually will not cover the actual time it took to repair or the materials used for repairs. If homeowners want to ensure they will not have another slab leak, they can choose to go with recommendations to reroute the leaking line. Plumbers will eliminate the water line underneath the foundation and route it on the exterior of the home, in the garage, or through the walls depending on the location and reconnect it with the fixtures inside of the home. Homeowner’s insurance typically does not cover rerouting the line unless a direct repair is not possible due to location or if the home has a post tension slab foundation. The only way to completely prevent any future slab leaks is by eliminating all of the water lines in the foundation and repiping them through the home. Depending on the size of the home and if the homeowner wants to house all pipes within the walls instead of along the exterior of the home, this can be expensive. A slab leak repipe is not generally covered by homeowner’s insurance. Insurance companies and coverage will vary. It is important for homeowners to read all of their coverage policies before filing a claim to understand what the best option for slab leak repair and cost will be for their situation. Bill Howe Plumbing can help inform insurance companies about the repairs, and Bill Howe Restoration & Flood Services, Inc. can work directly with claim’s adjusters when repairing flooring and walls. The first call, however, should always be the top plumbing services, so homeowners know exactly what they are dealing with in a slab leak situation. If homeowners suspect a slab leak or notice any slab leak symptoms such as mold and mildew, or are experiencing any high water pressure issues, call the experts at Bill Howe Plumbing. We have been detecting and repairing slab leaks and providing repair services for 38 years. Call 1-800 Bill Howe for all your plumbing needs.